"THE BEST STYLISTS IN THE WORLD!" Shear Unity Salon & Spa. We offer a complete spa experience of luxury services. 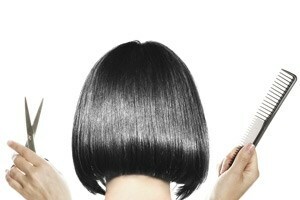 Hair Cuts, Hair Color, Texture Perms, Highlights, Manicures, Pedicures, Artificial & Gel Nails, Waxing, Facials. Serving Bonita Springs, Fort Myers, Naples and all South West Florida. With years of experience and continuing education.. our dedicated staff is ready to serve you and your beauty needs. **Choose from the menu on the left! ** Under Service Categories! All services are usually by appointment, but walk-ins are welcome too. If you need to cancel an appointment, we would appreciate a 24-hour notice. Call 239-221-8555 if you have any questions, or need directions to find us. "Best salon in the area. I've been a customer of the owner for 12 years and have followed him to various salons and now to this one here just a few years ago. Entire staff is wonderful!" © 2019 Shear Unity Salon & Spa, All Rights Reserved. Unauthorized duplication is prohibited.